(Bloomberg) -- Billionaire Mike Ashley, vying with creditors for control of Debenhams Plc, is considering an offer that would value the troubled U.K. department-store chain’s equity at 61.4 million pounds ($81 million). The possible bid ratchets up the struggle for Debenhams, a fixture of the U.K.’s shopping streets that’s fallen on hard times as consumers buy more online and confront the economic vagaries of Brexit. 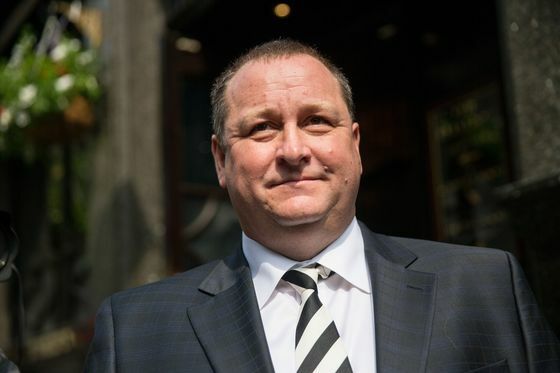 It’s the latest of Ashley’s attempts to wrest control of the retailer and save his stake after offering two spurned loans and proposing last week to buy its profitable Danish stores for 100 million pounds. The retailer said Tuesday that it would consider any offer from Ashley, but that he’d have to address its immediate funding requirements and repay up to 560 million pounds of debt. Sports Direct said Wednesday that it would work with Debenhams on its financing needs, without providing details or mentioning the debt pile.